We’d love your help. 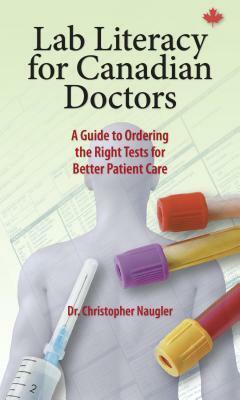 Let us know what’s wrong with this preview of Lab Literacy for Canadian Doctors by Christopher Naugler. Lab Literacy for Canadian Doctors is an affordable and comprehensive pocket guide for choosing appropriate lab tests. It quickly and efficiently improves patient care through better test decisions for clinical situations. This unique resource reduces the risks of: ordering the wrong test, not clearly understanding test results and op Choosing wisely for better patient care. To ask other readers questions about Lab Literacy for Canadian Doctors, please sign up.